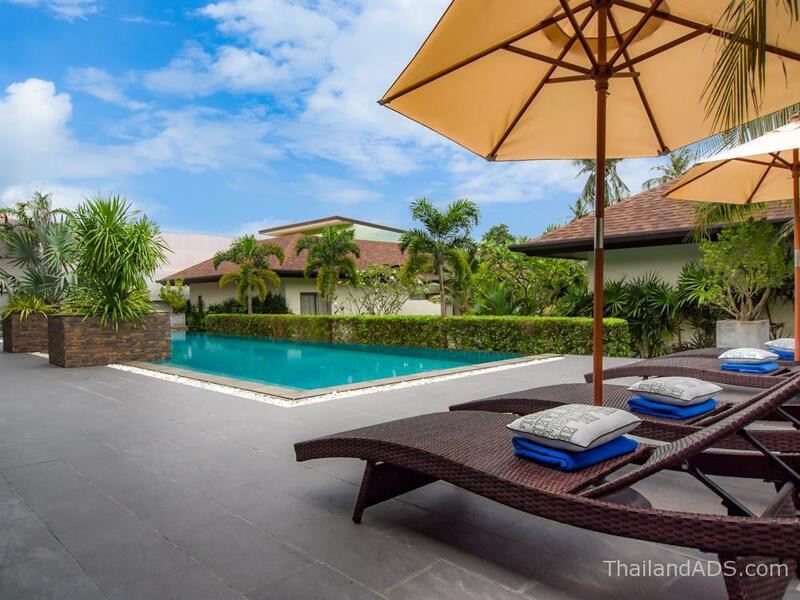 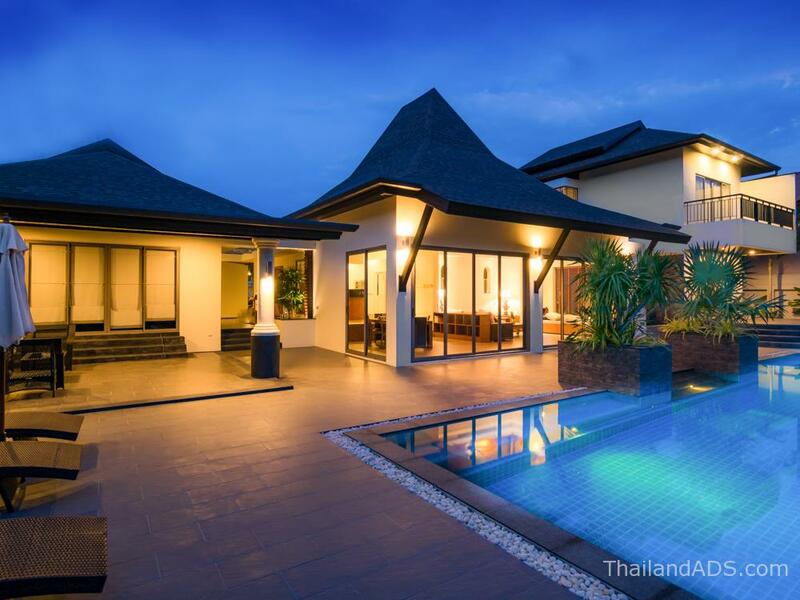 Located in a peaceful neighbourhood near Nai Harn and Rawai beaches, this beautiful Asian-style pool villa is set on a large 1,680 sqm plot with four semi-detached 1-bedroom guest houses. 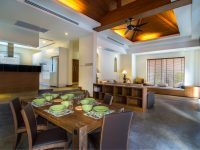 The main villa features three en-suite bedrooms, two on the ground floor and a spacious master suite on the upper floor. On the ground floor is a large open-plan living and dining area with high pitched ceiling, and a gorgeous fully-equipped open kitchen with cooking island. 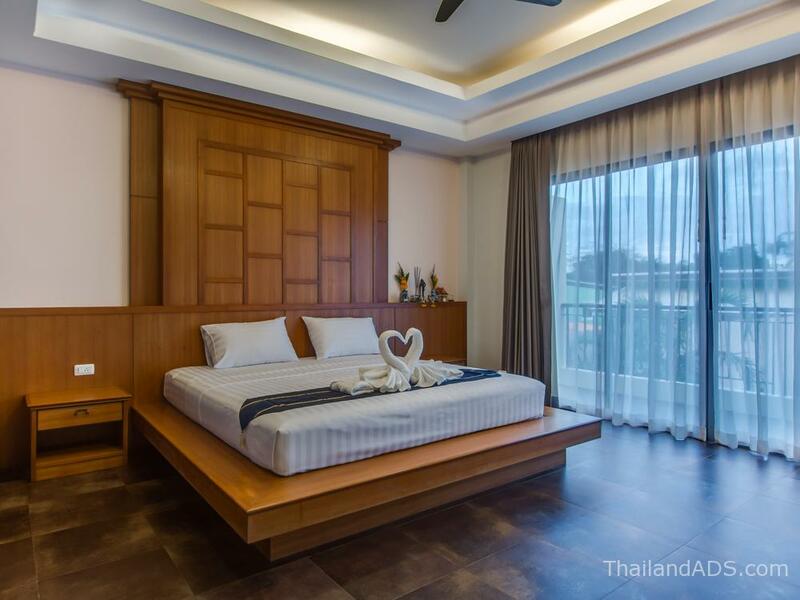 There is a guest toilet beneath the stairs and another bathroom to the back of the building beside the maid’s room. 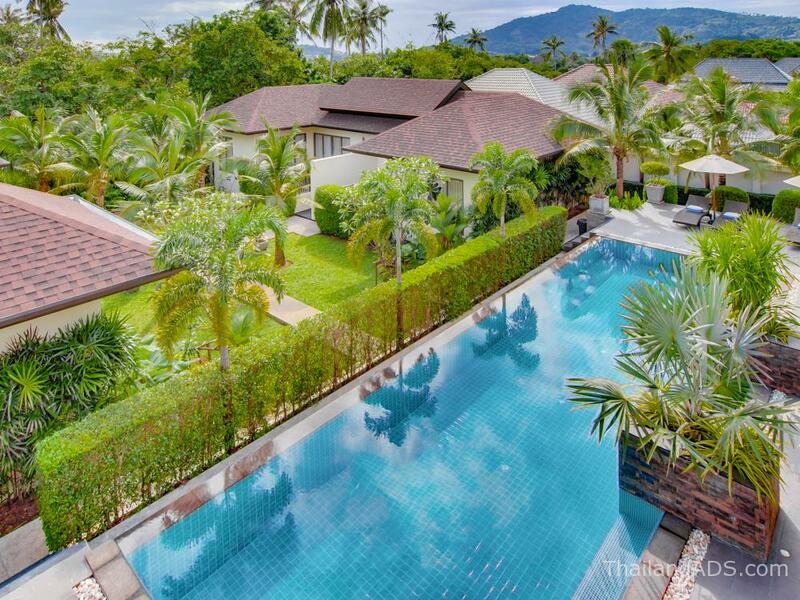 Outside is a large pool deck with an 80 sq m private swimming pool.